Last week, a federal court in New York dismissed former Alaska governor Sarah Palin’s libel complaint against The New York Times for an editorial insinuating that a map circulated during the 2010 midterm elections by Palin’s political action committee, SarahPAC, had incited violence. 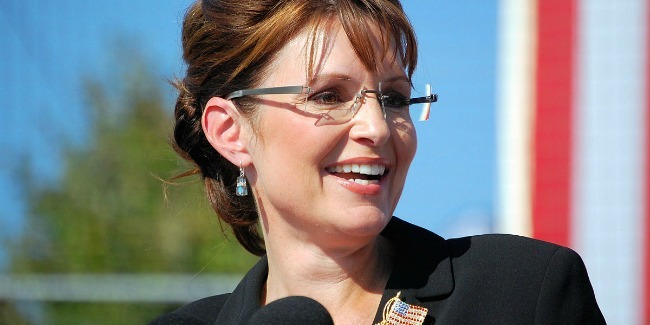 Judge Jed Rakoff found that Ms. Palin did not allege facts sufficient to show that the Times displayed disregard for the truth with “actual malice,” a required element in defamation claims involving public figures. The case is notable for Judge Rakoff’s willingness to decide it as a matter of law, on the basis of the complaint, before the expensive process of discovery (fact-finding, that is) was undertaken. This is a welcome relief to publications and authors who write about public figures, because even baseless lawsuits can be very costly to defend, especially in our current litigious climate. The threat of a defamation claim can result in the suppression of free speech and truthful reporting when writers or their publications can’t afford the risk of even a baseless suit. Palin’s complaint arose out of a June 2017 Times editorial comparing James Hodgkinson opening fire on GOP lawmakers practicing for a congressional baseball game baseball in Virginia to Jared Loughner’s 2011 shooting in Tucson, Arizona that killed six people and injured U.S. Representative Gabrielle Giffords. The editorial cautioned that the increasingly common use of violent rhetoric and symbolism in political discourse could lead to more mass shootings. As an example of incendiary rhetoric, the editorial described the SarahPAC map, which depicted 20 congressional districts, including Rep. Giffords’, with stylized crosshairs, stating that “the link to political incitement was clear.” The editorial explained that although there was “no sign of incitement as direct as in the Giffords attack,” liberals should condemn hate speech and crimes committed in their name. Within a day of publication, the Times revised and corrected the editorial twice by deleting the two statements linking SarahPAC’s map to the Loughner shooting and stating that no link existed between the map and the shooting. Three weeks later, on June 27, 2017, Palin filed her complaint on grounds that the Editorial Board’s putative connection between the shooting and SarahPAC’s midterm map was false and defamatory. The Times filed a motion to dismiss for failure to state a claim as a matter of law, arguing, in part, that Palin could not plausibly allege actual malice. Judge Rakoff examined the plausibility of Palin’s allegation that the Times Editorial Board acted with malice towards her, ultimately finding that the alleged evidence, taken together, did not support the inference of malice. Among other stipulated facts, Judge Rakoff noted that the Times had revised and corrected its statements within a day of publication, well before Palin’s complaint. He also reiterated the Supreme Court’s precedent in New York Times v. Sullivan—a landmark defamation case—that public figures must allege clear and convincing evidence of malice with a high degree of particularized evidence to proceed in defamation claims. Palin’s alleged support for her claim, the court notes, consisted “of gross supposition or of evidence so weak” that the facts, while potentially sufficient to establish that the Times Editorial Board acted negligently in printing the op-ed, could not serve as a basis for defamation of a public figure. The decision underscores the importance of freedom of the press to criticize government officials and political figures without the threat of lawsuits initiated by those in positions of influence. Indeed, as Judge Rakoff writes in the opening paragraph of his order: “Nowhere is political journalism so free, so robust, or perhaps so rowdy as in the United States,” and if the press is to “achieve its constitutionally endorsed role of challenging the powerful, legal redress by a public figure must be limited to those cases where the public figure has a plausible factual basis” to claim that the press acted with malice or with a reckless disregard for truth in publishing negative statements about the public figure. Because Palin’s complaint was dismissed on the merits, she is barred from relitigating the facts in a future lawsuit.